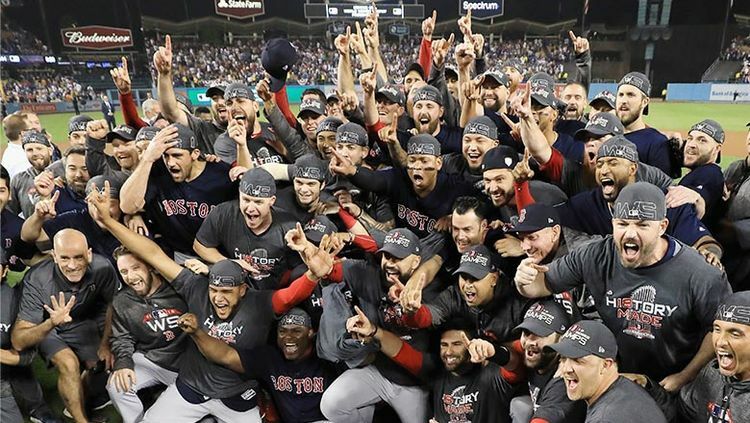 For the fourth time in the last 15 years, the Boston Red Sox have won the World Series. They had the most wins (108) in franchise history and were the best team in the American League all year long. One other interesting factoid is that three of their four titles came with first year managers. Terry Francona and John Farrell were the first two. Now Alex Cora is the third. Maybe Boston should hire a new manager if they want to win another one (obviously kidding). This series was interesting in the fact that he had the longest game in World Series history in Game 3. 18 innings and over 7 hours of baseball. I love this game, but that was watching two games in one. The only blemish on Alex Cora in this series came in that game with his handling of the pitching staff. His starter, Rick Porcello was yanked after giving up only one run on 61 pitches in the fourth inning. Hindsight shows that he should have kept him in a little bit longer so as not to tax the rest of his staff. Regardless, Boston went on to win the series. Even with another questionable move in keeping Game 4 starter Eduardo Rodriguez in for one batter too long. The Red Sox were down, but not out and came back to win Game 4. There was no doubt in Game 5 as the eventual MVP Steve Pearce hit a 2-run HR in the first inning off Clayton Kershaw. Pearce was the hero the night before in Game 4 with a solo HR off Kenley Jansen to tie the game in the 8th inning. Then hit a bases clearing double driving in 3 to give Boston an 8-4 lead in the 9th. They out-hit and out-pitched Los Angeles. David Price (2-0, 1.98 ERA, 13.2 IP) has removed any doubt about being a starter in the Postseason. Aside from Pearce, he could have easily been named the series MVP as well. At times, the Dodgers seemed to be swinging for the fences in almost every at-bat. That was their bread and butter during the season, but it failed them in the Postseason. Boston didn’t always rely on the long ball. They always worked the count or capitalized on the pitch they were looking for in each at-bat at crucial moments. For the most part, the series was engaging and fascinating at times. Yes, even the 18-inning affair. The Dodgers will have another offseason to ponder their next move, while Boston adds another banner at Fenway.